Ask many financial experts such as Dave Ramsey or Clark Howard and they will agree that using cash is an important factor in controlling your spending. And it is not a system only for people trying to get out of debt, but everyone as it really makes you think more about your spending. 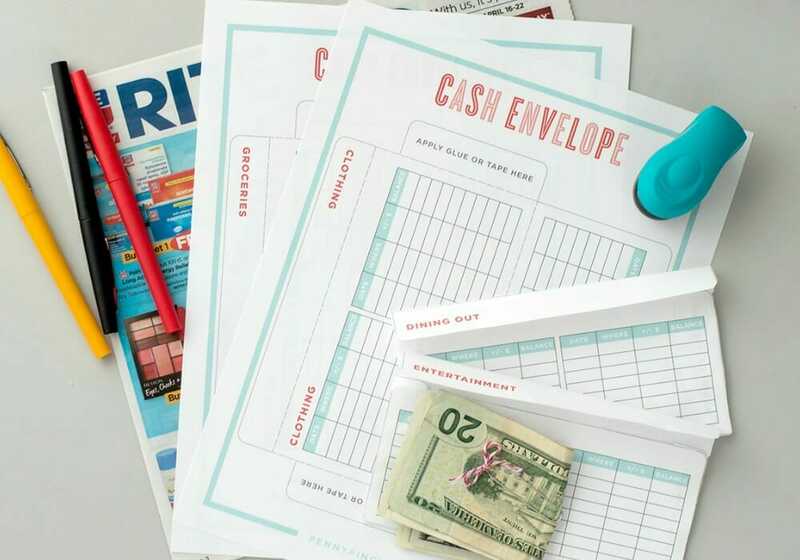 When it comes to using the cash envelope system, you can purchase one such as that sold by Dave Ramsey or you can just use the envelopes in your desk drawer. I’ve even got a cash envelope template you can use as well (purchase HERE for $2.99). The first option is to leave some of the money you normally get in cash, in your account. For example, if you spend $100 every paycheck through online purchases, get $100 less in cash. You can still account for it by using cashless envelopes instead. That way, you still monitor your spending and don’t blow your budget.